Recent days, we talked to a customer from Thailand and we were apprehensive profoundly that the overall economic situation this year was not that good. From his words, I could obviously see his helplessness during the years he working on the used-clothes industry. Then I was thinking that how big the problem was which made him give up the business he has worked on for so many years and try to earn his life in another way. Looking back on the year, used-clothes industry in China, and even in global has taken great changes. The global oil price keeps going down and the foreign exchange cost keeps going up. 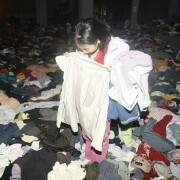 And at home, the price of used-clothes materials has gone up and down for several times. This year is destined to be the most difficult year for used-clothes export industry. Some factories may be face with the shutout problem. Someone even sais that this industry would exist for at most 5 years and in 5 years, the market requirement would be quite small. 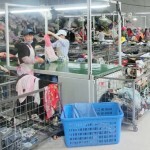 However, we, use-dclothes-trade.com, believes that this industry will exist for at least 30 years. Of course our calculation is well-founded like what we have predicted about the industry trend in 2014. You can see specific analysis in our website. Here in this article, I am just emotional regretful like the Thailand customer. I always believe that this is a quite good industry. The short-term market expansion and the tight forex get it into transitory trouble. It is not supposed to give up it. We have reliable evidences to show that the situation of used-clothes industry will improve in the latter half of 2016. 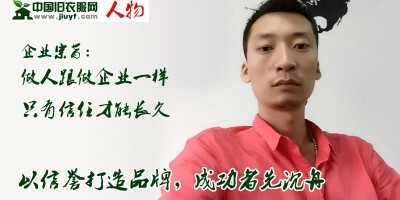 This article is about the author’s sigh with emotion, at the same time, I also want to tell you, struggling guys that if your factory can make great profit now, you will be even more successful in the future, and if your factory is facing all kinds of pressure, don’t give it up. First to fight for the survival, then to the profit.